Advice: if you applied for a BTO and a good queue number, don’t apply via SBF hoping to get a better flat in better location and available sooner, the battle for each flat in SBF in mature towns is huge and you risk to remain homeless! Well, you can apply via SBF in Sembawang where application rate hardly reach 1:1. Floor plans can be seen in HDB brochures (2010-present). Looking for future BTO launches? Many people come there from google searches like “2019 BTO list” or “BTO launch location 2019“, as well as asking me such things over chat, also asking project name and prices. You can see Upcoming Sales Launch on HDB InfoWeb. 3 months ahead we can see next BTO location and flat types available. Project name, prices and the exact day of launch are not known until the BTO is actually launched. Every town with empty land parcels may have BTO projects, use the map on homepage www.teoalida.com to spot empty parcels. Is not known how soon a land parcel will be developed as BTO, some parcels can be sold to private developers instead. Mature towns can get BTO flats too, on the land cleared via SERS. Example: Ang Mo Kio blk 247-252, Clementi blk 401-409, Sims Lane blk 54-60, or Kallang-Whampoa lands resulted from demolition of industrial areas. HDB annunced on 29 August 2013 the Public Exhibition on New Housing Areas: Bidadari (estate within Toa Payoh town, first BTO early 2015), Tampines North (first BTO late 2014), Punggol Matilda (first BTO Sep 2013). Tengah New Town was announced in 2016 and got first BTO launch in 2018. Next new towns to be announced in coming years may be Seletar and Simpang. Flat supply for next year is announced every December. 2017 supply as announced in Dec 2016, will be 17000 BTO flats. This is a very low supply which contradict with a news from 2013: 700000 new homes by 2030. Real floor area shown in HDB Resale Transactions will be bigger because it will include A/C ledge (2-3 sqm) and balcony (3-4 sqm) if available. Pinnacle @ Duxton, SkyVille and SkyTerrace @ Dawson BTO flats are smaller than the standard flat sizes. Same like above table, but in Excel format, allow you to sort and filter by each column. A more detailed table that allow you to compare prices of each BTO flat type. If you have any suggestion how to make table easier to use, tell me! 2001-2009: Wikipedia’s BTO article, it had a list of BTO projects (now deleted, because it had too much info for such a general encyclopedia), initially I used it to compile the above List of BTO in 2011. 2010-present: the brochures issued by HDB at every new launch. I saved all brochures and offer them for free download on my website too, see BTO brochures. Later I found that Wikipedia was full of mistakes. One visitor reported that Spring Lodge was not cancelled. I checked the map and he is RIGHT, Wikipedia was WRONG, showing Spring Lodge as block 465 cancelled, with completion date 2007, Spring Lodge has been built, BUT as block 466 (lease commence date 2006, completion probably 2005). WTF!!?? River Edge supposedly completed in 2005 seems that was the one cancelled? In case Wikipedia shows Spring Lodge under name River Edge, does anyone know which BTO has been cancelled in 2003? Few more mistakes reported by visitors, mostly regarding typo in number of units, have been corrected. Please report any more mistakes! Many people asked me if a BTO can be completed earlier. YES, the estimated completion acts like a deadline, in most cases residents collect keys up to 3-6 months earlier. Note that Pinnacle @ Duxton residents collected keys and moved in Dec 2009, but work continued at skybridges until May 2010 scheduled completion date. Originally I took completion dates from Wikipedia which specify same month 4 years ahead, and I kept adding 4 years of the projects not listed in Wikipedia, but I realized THAT WAS WRONG as most 2009-2010 BTO are completed in 3-3.5 years (6-12 months faster) because HDB decided in 2010 to speed up BTO production, affecting the already-launched projects. In 2011 I have corrected the completion date for the post-2009 BTO, now specifying the “Estimated completion date” shown in sale brochures provided at BTO launch date. Occasionally HDB show a different, updated completion date when unsold flats are re-launched in SBF, earlier than completion date estimated at the BTO original launch, but since not all BTO have unsold flats, and to prevent being blamed for providing WRONG completion date by people looking in original BTO brochures, I choose to show the original estimated completion date. Under construction BTO have communities on Facebook and on various forums, residents posting construction updates and predict completion date. Check them! Some people ask me what is the ACTUAL completion date or key collection date of completed BTO, I cannot answer, you should ask someone residing in that BTO, or check HDB Events Calendar, look for Welcome Party / Completion Ceremony. Lease commence date is about 1 year after estimated completion date. Minimum occupation period is 5 years starting from key collection date, which vary from flat to flat. If you want to estimate when first flats from certain BTO will be available in resale market, you should add 4½ years to estimated completion date from above table. 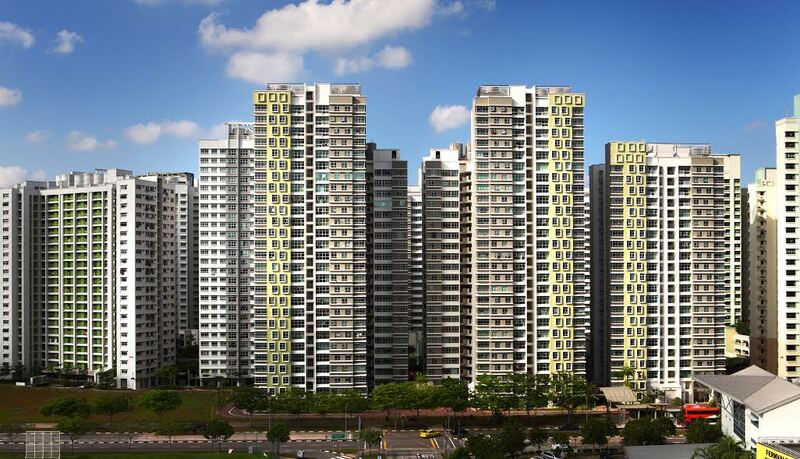 Build-To-Order scheme introduced in 2001 became main supply of HDB flats, at same time precint names became standard for all new HDB developments (precint names were also added for older blocks during upgrading programmes, also added at an unknown date for all blocks in Sengkang including the ones built before introduction of BTO scheme). But such precint names were used for other schemes too, such as SERS replacement blocks. Numerous people thinks that any group of HDB blocks that have a name is a BTO, and when a Sale of Balance Flats is done, they asked me info about “these BTO which are not found in your list of BTO projects” or blamed me for having an incomplete list of BTO launches. List of DBSS projects – blocks built and sold by private developers, but managed by HDB like public housing. List of SERS sites – blocks built for replacement when old blocks are selected for redevelopment, their surplus flats are sold via SBF in same manner with unsold flats from BTO projects. There have been 2 projects (Sri Geylang Serai and Ping Yi Greens) which were built for SERS and also offered for sale via BTO. There are also projects which are neither BTO, DBSS or SERS, they are build in advance and flats are sold via SBF: Buangkok Court, Fernvale Lodge, Golden Peony (Tampines), Jurong East Court, Jurong East Vista, Marsiling Heights, Tampines Lodge, Tampines Ria. Tell me if you know any more!